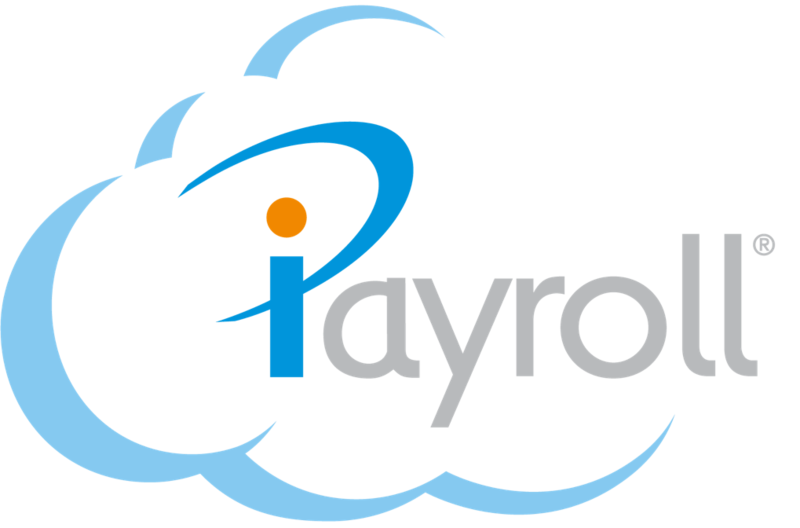 iPayroll has built-in a number of standard Deduction Pay Elements that are maintained by iPayroll for you to use. This greatly simplifies the work you have to do to set up and maintain your payroll, as we continually update these Pay Elements to reflect changing regulations and requirements. You can set up your own special Deductions to supplement the many standard deductions that are set and maintained for you by iPayroll. Your own special deductions allow you to easily calculate and deduct any unique deductions that are used within your organisation. Tip: Before setting up your own deduction, please check that no standard deductions already do what you need. 1. Go to 'Setup' then 'Pay Elements' then submenu 'Deductions' to add a new Deduction Pay Element. 2. Press the '+Add' Deduction button. 3. Enter a Deduction Code and Description. The Deduction Code appears in the drop-down list when you add transactions to timesheet’s. You should use a short, easy to type, code that you can remember easily. (If you are used to another payroll system that has deduction codes or numbers, you may like to use those for your deduction code). 4. Complete the information on the Deduction form and press the 'Save this Deduction' button. Each Deduction contains a number of pieces of information that control how the deduction is calculated and paid. Deduction Code - Enter a code that can be easily identified. You should use a short, easy to type, code that you can remember easily. Description - Enter a description that will clearly describe to a person what this deduction is for. This is displayed on peoples timesheet’s and payslips. Calculation Rule - Select the appropriate type from the list. This is the main way to determine how a deduction is calculated. For a deduction with a Fixed Rate, select use Rate Amount from Deduction and then enter the defined Fixed Rate in the Rate Amount box. For an ad-hoc deduction that varies each time it is set up against a person select use Rate Amount from Deduction, and then enter 0.0 in the Rate Amount box. (e.g. PBA - Personal Bank Account). For a calculation that depends on a percentage of a persons earnings, select the appropriate percentage Calculation rule from the list, and enter the actual percentage in the Rate Amount box. The PAYE and other Tax calc's options are reserved for standard deductions that are set up and maintained for you. For a Fixed Amount, enter the actual rate to make this deduction at - if it is always for a fixed amount. (e.g. Union Fees often have a fixed amount). For an Ad-Hoc Deduction, made at different rates, enter 0.0. (e.g. PBA - Personal Bank Account). Tip: To override the percentage on individual people, enter the Rate Amount as 1.0 and then enter the actual percentage for each person into the Quantity when adding a transaction on a timesheet. The priority determines the order in which deductions are calculated, paid and displayed on timesheet’s and payslips. This order is quite important for standard deductions - for example tax must be deducted at the appropriate point and a remaining pay deduction must be made right the the end. Fortunately, the order of your special deductions is not too important and you will often just accept the default priority. If you are concerned about the order that deductions are made, review the priority numbers on your deduction page and change them as required. Priorities are significant when a person doesn't have enough pay to make all their deductions, ones with smaller priority numbers will be made first. Payment Method - Select an option to determine how the actual money for this deduction is paid. Bank - Select this to include the deduction on the Bank Schedule. (Suggestion: Use this option whenever possible). Leave the Consolidate box empty - it should only be selected when a separate schedule is sent to the organisation receiving this money. Cheque - Select this option if you prepare a cheque (or otherwise make payment outside of the payroll system) to send to the organisation receiving this deduction. The deduction will be reported on the Cheque Schedule. Cash - This is reserved for the standard CASH deductions set up and maintained for you. these are reported on the Cash Schedule. Bank Details - Enter the Bank Account, Payee Particulars, Payee Code and Payee Reference required for this deduction. (Obviously this is only required where the Payment Method is Bank). This information will be available from the organisation you are making this deduction for. Schedule - The deduction will be costed to the Bank, Tax, Cheque or Tax account code depending on the Schedule Method chosen (above). Fixed - Select here the cost centre that will always be used, (unless you override it when you are setting up a deduction on a timesheet). Template - This allows you to set up a rule that will direct the deduction to the appropriate cost centre, taking part of the code from the person's cost centre and the remainder from the template. Enter a ? in each position that should come from the person's home cost centre. For example, ??? ?XYZ will construct a cost centre from the first 4 characters of the person's home cost centre, and append XYZ onto the end. None - Select this option and you will always be required to enter the cost centre setting up a deduction on the person's Timesheet Template. (Note: This option is not usually necessary, the other options can cater for almost all requirements). Tax - This is reserved for the standard tax deductions that are set up and maintained for you. Super Subsidy - Select the appropriate option if this deduction is for a subsidised superannuation scheme. (If the scheme is not subsidised, use the 'Standard Deduction' option instead). For more information on superannuation schemes, subsidies and employer's superannuation contribution tax (ESCT), see the Superannuation Help. Other - Select the appropriate option. Standard Deduction - You will almost always use this for any special deductions that you set up. Pre-Tax Deduction - This deduction will be made before tax is deducted (i.e. it will reduce the Taxable Pay). Remaining Pay - This is used internally for the final Bank, Cash or Cheque deductions on a person's timesheet. Allow Partial Deduction - Tick this box if part of the amount should be deducted, even if the person doesn't have enough remaining pay to make the entire deduction. (Note: Always tick this for a reducing balance deduction, otherwise the final deduction made to clear the balance may not be made). Reducing Balance Deduction - Tick this box to make this deduction a Reducing Balance deduction. These deductions require that you enter a Balance when setting up the deduction. The deduction will be made as usual, and the balance will reduce. When the balance reaches zero, the deduction will automatically stop. (Read the Tax Arrears help for an example of a reducing balance deduction).